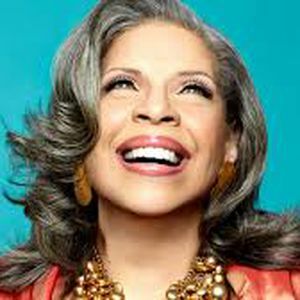 Patti Austin is an American R&B, pop and jazz singer. She is best known for the hits “Do You Love Me” “Every Home Should Have One” “Baby, Come to Me” and “How Do You Keep the Music Playing?”, and her albums such as End of a Rainbow Havana Candy, Every Home Should Have One, Patti Austin, The Real Me, and Love Is Gonna Getcha. She won her first Grammy Award for Best Jazz Vocal Album for her album Avant Gershwin in 2008. Born on August 10, 1948 in Harlem, New York, USA, to musician parents Gordon and Edna Austin, she was raised in Bay Shore, New York on Long Island. Patti made her stage debut at Harlem’s famous Apollo Theatre at the age of three with her famous Godmother Dinah Washington. *She was born on August 10, 1948 in Harlem, New York, USA. *Her godfather is Quincy Jones. *She is the winner of the Grammy for Best Jazz Vocal in 2008. *She had a #1 hit recording, (w/James Ingram), with “Baby, Come to Me,” in December 1982. *Follow her on Twitter, Facebook and YouTube.